Now in the final weeks of the Spring semester for most colleges and universities, the party life has been livened up a bit with the rising popularity of the new playlist sharing site, FratMusic.com. College students on campus’s throughout the country have embraced the resource, a live melting pot of party playlists that lets users vote which playlist they think is “hot”. Since the site took off, anyone looking to get up to date with todays hit party music has been able to instantly stream the music through a widget by MixPod.com placed on the FratMusic site. MixPod is an already established playlist sharing site, but this niche implementation of their widget is the most popular that I’ve seen anywhere. This certainly makes sense considering that all college students need to be connected to the internet today, and browsing the web with a hot playlist has made listening to music via the internet even better. Each day there are new playlists added to the site, from just about every type of institution that you can think of, and the new playlists are voted on, with the most popular playlists making it to the homepage. 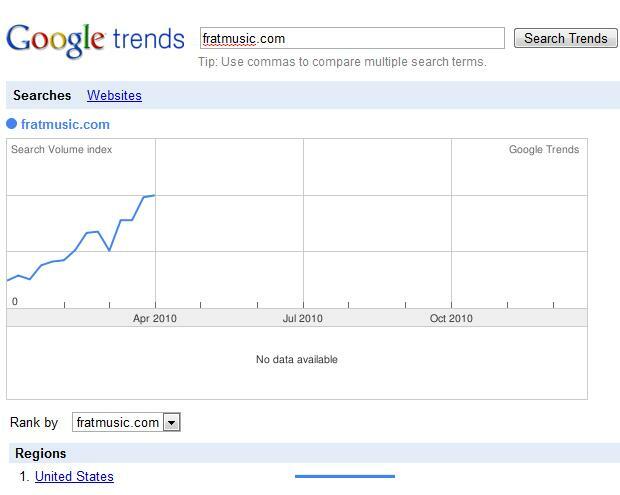 FratMusic functions seamlessly and this has helped keep their user numbers growing steadily. The music stream is very reliable with no interruptions and each playlist is categorized so that finding a hot playlist is always easy to find. To add to the site’s growth, each page has a Facebook “Share” button that allows anyone to instantly share a playlist with friends on Facebook. Overall, FratMusic is the product of great collaboration between the web apps of MixPod and Facebook, and the power of crowd-sourcing via college students. I hope you enjoy this site, it has enormous potential. campusmixes.com. No mixpod dependencies. Listen to a playlist or make your own right there. Check it out.